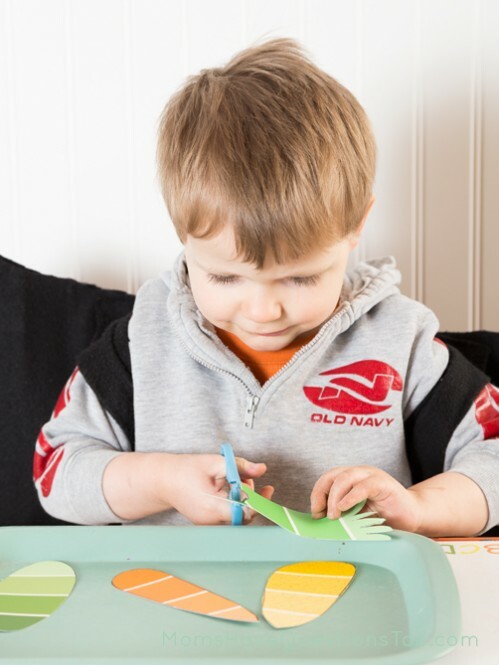 How do I do age-appropriate toddler education at home? 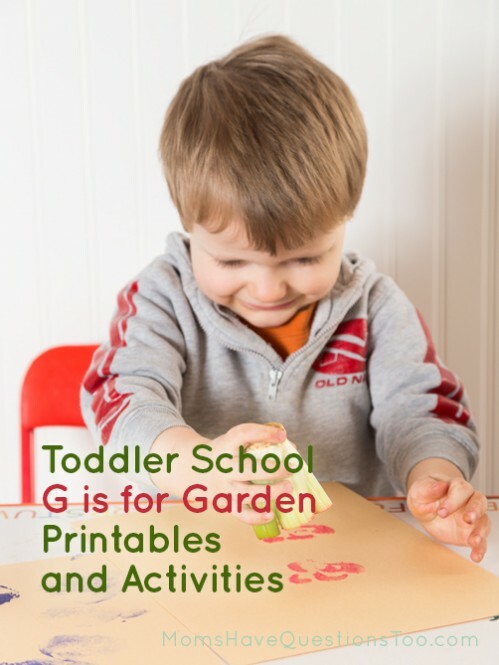 I did a garden theme for tot school with Smiley Man last summer and Smiley liked it so much, I knew I had to include it in my Toddler Curriculum. I went back and looked at some of the activities we did back then (almost a year ago) and I am so impressed with how much Smiley Man has learned. Okay people, I lost our bathtub crayons. Those were supposed to be our Make the Letter activity for this week, but when I went to get them, they weren’t there. I’ll probably just make some more, but since I didn’t have them when we took the pictures, I don’t have a picture for you. :( It’s not that hard to figure out though, just use bathtub crayons to write the letter G. Help your toddler if he needs it. Smiley Man did a pretty good job of finding all of the Gs for this printable. The hardest thing for him was coloring just one letter instead of the letter plus a few of the ones around it. This printable and more are included in the Toddler Curriculum. 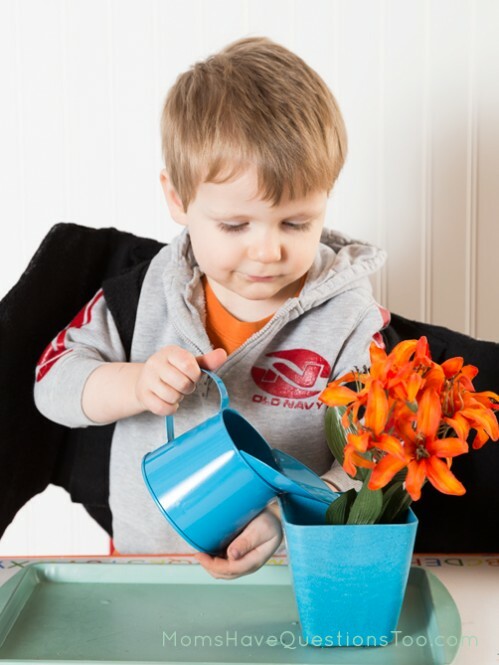 Theme: Use a toy watering can to water fake flowers that are in a flower pot. You could also practice watering a real flower. Stickers/Stamps: Make a potato stamp with a carrot shape. Stamp “carrots” in the “garden” (brown construction paper). 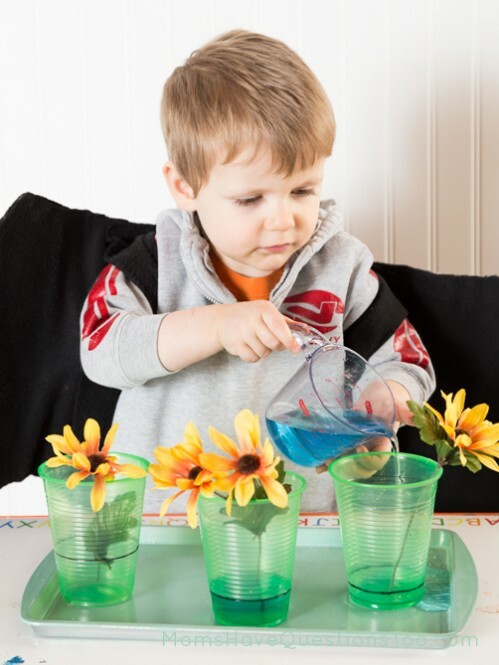 Pouring: Have fake flowers in clear plastic cups. Draw a line on the cups (or put a rubber band around the cups) to act as a fill line. Pour water from measure cup into plastic cups to the fill line. Cutting: Cut yellow, green, and orange paint chips to look like corn, celery or cucumber, and carrots. Use scissors to cut the paint chips on the line. 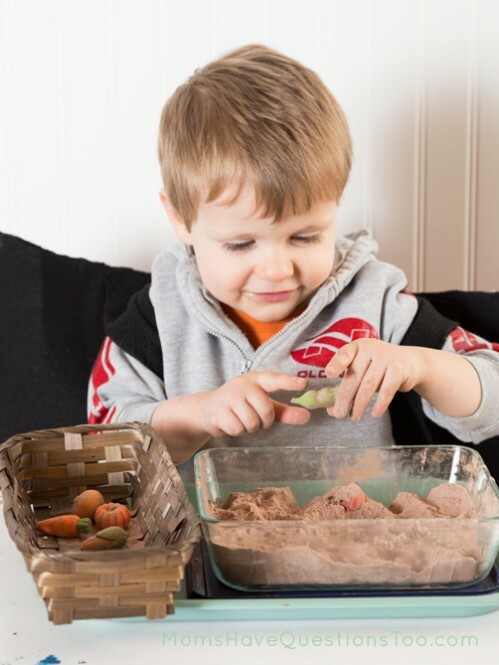 Sensory: Pick vegetable shaped erasers (or plastic vegetables) out of sensory dirt and put them in a small basket. I cut out the shapes for this printable before I gave it to Smiley Man to work on. 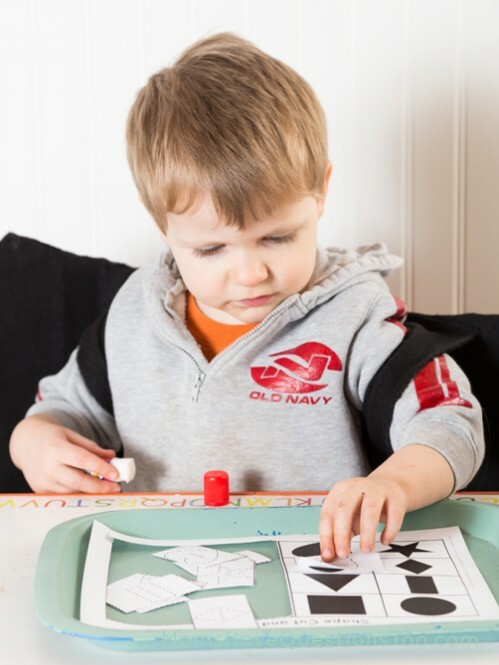 If your toddler is older, you can let him or her cut the shapes out themselves. 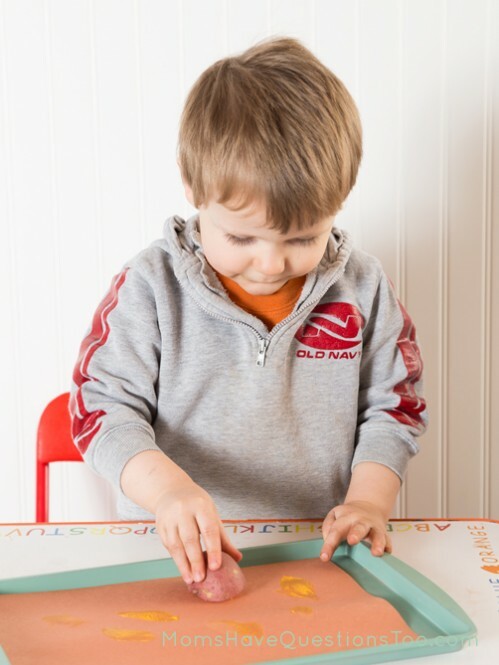 If your toddler is even older, he or she can cut the actual shapes out instead of just the boxes around the shapes. We didn’t get to the library this week so we had to just read our books at home. I really wanted to get this book though because it looks so fun! Maybe next week. 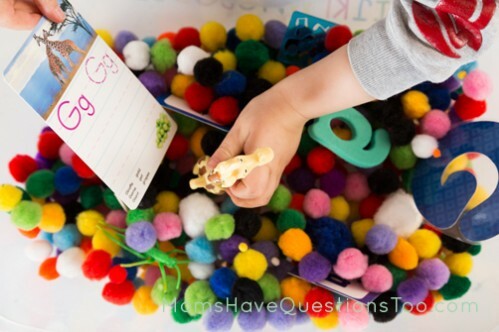 We used pompoms as the base for our sensory bin this week. Smiley Man loved them, but he was also a bit more interested in the Gs (unlike last week when he just wanted to play with the oatmeal). Read about our ABC Sensory Bins to see how we use them to teach letters. Now that I’ve been using my Toddler Curriculum for a few months, I just have to say, it is so nice to have a set plan. 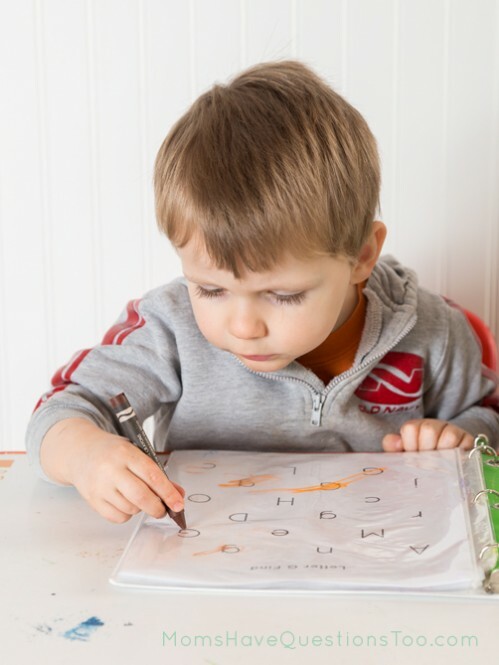 An official curriculum definitely isn’t necessary for toddler education, but having one has made tot school more fun for Smiley Man and for me. This toddler homeschool curriculum keeps me organized and is perfect for when my creativity is lacking. When I do have more crafts and activities to add, I just add them to what we are already doing. But, when I have nothing extra, the curriculum has plenty to keep Smiley Man busy and learning. 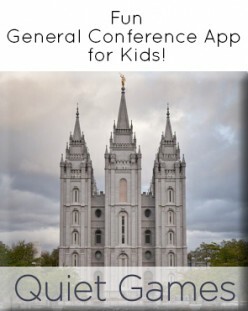 How do you get toddler education organized? Do you like to have a curriculum like me or do you like to come up with your own ideas?